The decision will depend on budget, function, fit and comfort. You don’t need to spend an arm and a leg to get a great backpack which will last through your expedition and beyond. When picking your rucksack, look for quality components, robust fabrics and a back system that suits your needs. Remember: one of the main things that will make or break your day is comfort. And the key to being comfortable is fit. 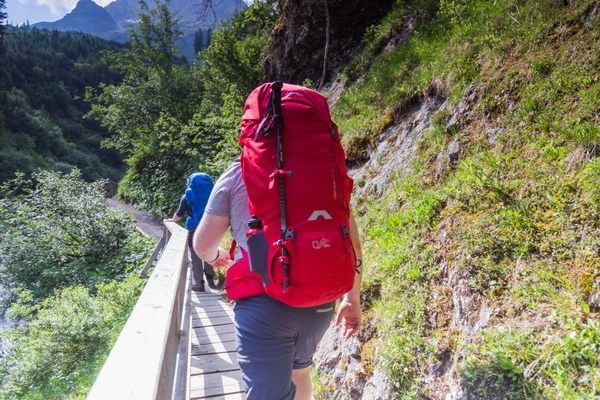 Choosing a rucksack with an adjustable back system can help you tailor the fit to your back. This gives better load transfer from the back and shoulders to the stable hip area, where approximately 70-80% of the pack’s weight should be held. The remainder should be carried through the harness on the shoulders, which will help reduce the strain on your neck and shoulders. If you are of a smaller frame, a Short Back System will better suit your shape and give better weight distribution and stability when on expedition. Vango’s Short (S) back systems found on the Contour and Sherpa rucksacks are not only shorter but also have a narrower harness (to stop the straps slipping off your shoulders), a smaller hip belt to fit more ergonomically and support the load your carrying more effectively, and of course a shorter back which can be adjusted for just the right fit. A rucksack with an alloy framed back system will effectively transfer the load to your hips and add stability while being robust and lightweight. An ergonomically shaped hip belt and harness (rucksack straps) mean they are shaped to the body for better fit and comfort; particularly important when carrying heavy loads over long distances. Sternum straps are often overlooked but they add stability to your load, which is vital when covering varied terrain and uneven ground. Other items to look out for include: lumbar support, ventilation channels around the back, and padding in the hip belt and harness area – making your experience more comfortable. 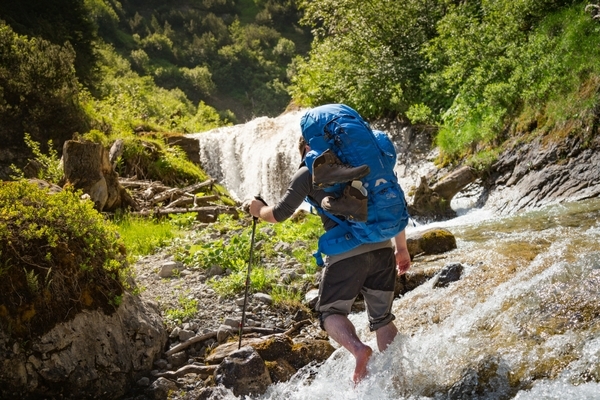 Most trekking rucksacks come in a variety of sizes – from 60L all the way up to 80L – depending on how much you anticipate carrying. We recommend carrying no more than 25% of your body weight on expedition. Think about how long your expedition is and, therefore, how much you will be carrying. 60L is often enough for a single night if you pack light or are splitting your tent between groups. If you plan on trekking longer or will be carrying all of your equipment yourself, a larger 65-70L pack may be a better choice. 80L packs come into their own on long, kit intensive trips where you may need to carry a larger tent or more equipment. Arguably the most important thing to look for is safety features, such as reflective points and a high visibility rain cover. A reflective rain cover keeps your contents dry (which could be lifesaving in cold or wet weather) and makes you more visible in low light. An emergency whistle is also a key bit of kit. Vango trekking packs all have an emergency whistle with a downward facing spout to stop them filling with water. This ensures that, if the worst happens, you can alert your group or rescuers to your location in an emergency. If these are not included with your pack, make sure you purchase them to take with you. Once you have found a pack which suits and fits you, all that’s left to do is look for the extras you require. Do you need a hip belt pocket to stash snacks or mobile phones, or a waterproof map pocket like on the Sherpa rucksack? A floating lid and full zip access like the Pinnacle rucksack? Or are some additional webbing straps and base access like the Contour rucksack enough to meet your needs? Wherever you go, Vango’s got your back!